Seagate the 30 years leading HDD manufacturing company have launched a new series of HDD. 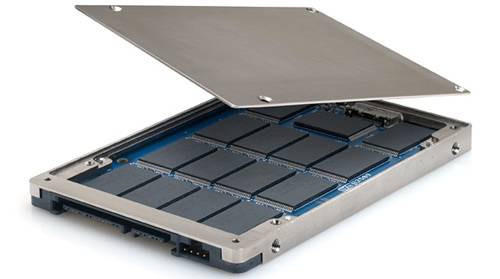 They are codenamed as PULSAR and they belong to the SSD family of storage. Pulsar 200 GB is a NAND Flash Solid State drive form the leading manufacturer Seagate. It has a Sata Interface to meet the need of todays PC’s. The data transfer rate is 3 GB/s and almost 300 MB/s is obtained. It dose not have any moving parts and saves your data even if there is a power failure, relaxing you from the tension of data loss due to power failure. It is just 2.5″ in size and very fast and reliable. Below are the Technical Specification of the drive. The drive is very fast. Have a Sata interface to be used with our day to day PC/MAC. Also it is very light in weight. Cheap comparatively with other drives in this range. Small Capacity of only 200 GB. Also special care for using it. If you wanna bu a SSD for your laptop/PC then go for this one. It is the best buy among the SSD products. $ 662.1 and around Rs 29,781 in India.